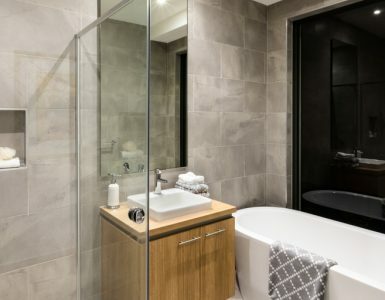 why do we resist bath safety? Over the past few decades, we have made the world safer in so many different ways. We use seatbelts when driving in our airbag- and antilock brake-equipped cars. We wear helmets when bicycling, skiing, and rollerblading. We require safety fencing around pools and many people install pool alarms to let them know if someone falls in. If we’re truly concerned about safety, why do so many of us leave those concerns at the bathroom door? 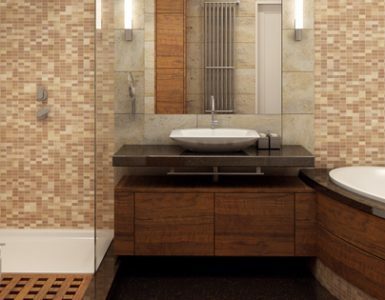 The bathroom is one of the most potentially dangerous rooms in the home, particularly for older adults. Why? Let’s start with the wet and slippery surfaces, loose rugs, and sharp corners. Next, add in the physical challenges many older adults experience: difficulty with balance getting in and out of the bath or shower; trouble bending and reaching to adjust water temperature or wash body parts; difficulty seeing without glasses or contact lenses. It makes for one seriously dangerous mix. Statistics are hard to isolate, but a CDC report credits bathroom accidents with causing over 234,000 injuries in 2008. Among older adults, bathroom incidents accounted for 2.5% of all unintentional injuries. The frustrating thing is, so many of these injuries can be avoided by using simple, easily-affordable safety devices. Many of them make bathing safer and more convenient for people of any age, not just older adults. So why do so many of us choose not to make our bathrooms as safe as they can be? We explored this question with some recent bathroom safety converts. When Paul Molinski’s wife suggested installing grab bars in their bathroom, his first concern was appearance. “Hospitals and nursing homes have bars next to the toilet and shower,” he said. “And that’s what I associated them with.” It’s true that medical facilities have safety bars in the bathrooms, but that’s not what makes those places institutional. The truth is, a set of grab bars could be the very thing that keeps one out of a hospital setting. Nearly 80% of bathroom injuries are caused by falls, which can cause serious injuries such as hip fractures in older adults. With two thirds of bathroom injuries occurring in the tub or shower, it’s easy to see this is a major safety hot spot. 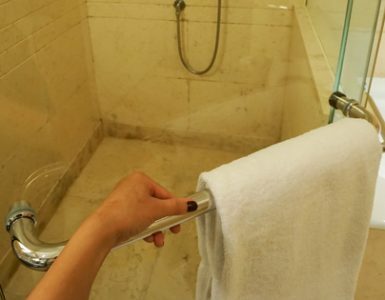 And it begs the question: if everyone had grab bars in their shower, how many fewer injuries would occur each year?